Personalised Valentine Wallet Card Insert Valentines Gift Mr & Mrs, His Hers, Couples, Boyfriend, Girlfriend, Lover. 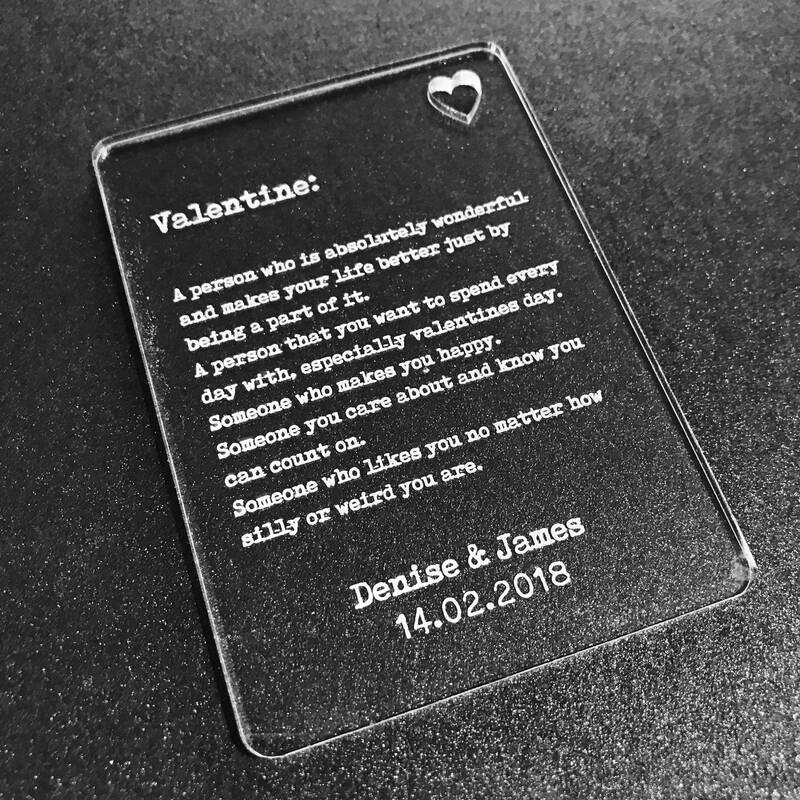 Beautiful, laser cut & engraved from 3mm high quality Acrylic. Personalised Wallet Card Insert. · Personalised with your own names and date at bottom. 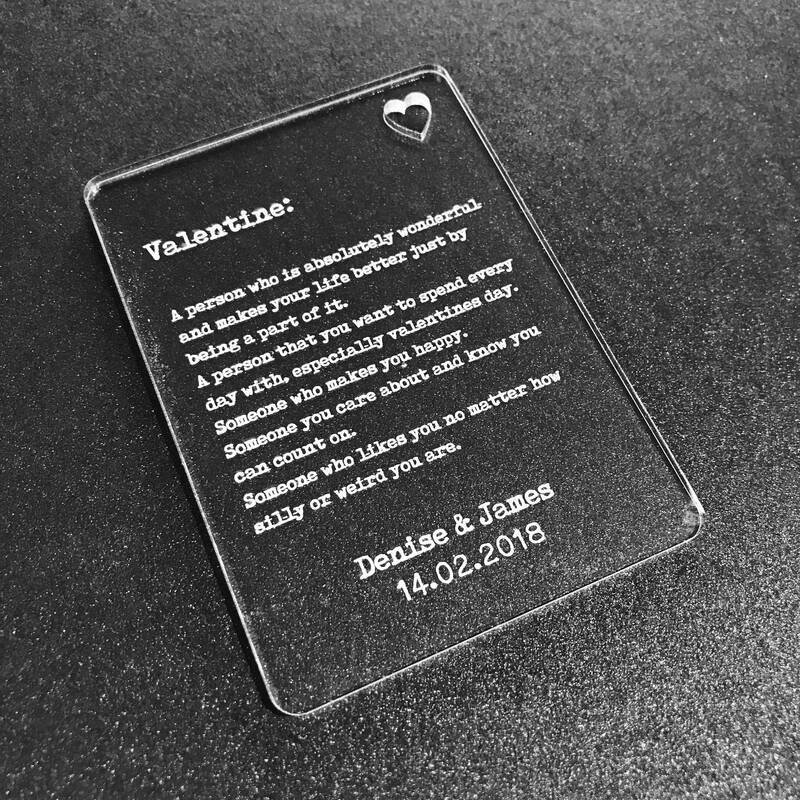 ✦ Please leave full instructions as to what names/date/text is to be engraved.